Notable: He’s the No. 7 prospect in Maryland and No. 130 nationally, according to Rivals. He visited this weekend and committed during PSU’s junior day on Saturday. 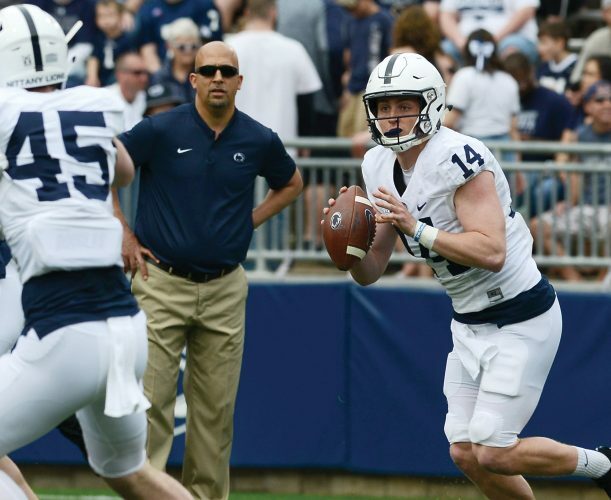 Scouting report: An excellent prospect who was highly sought after by many major programs, he’s said to have been high on Penn State from the beginning, according to Rivals. He had four interceptions last season. Quotable: “I like how Coach Franklin and his coaches coach their players. I also liked the locker room and the atmosphere around the place. It’s also a place where I can compete for a championship every year.” — Moten told Rivals. Notable: The Lions also picked up their first recruit for the class of 2021 Saturday in WR Dont’e Thornton from Maryland. He’s from Mount St. Joseph High School in Baltimore and has not been rated yet by 247Sports or Rivals.